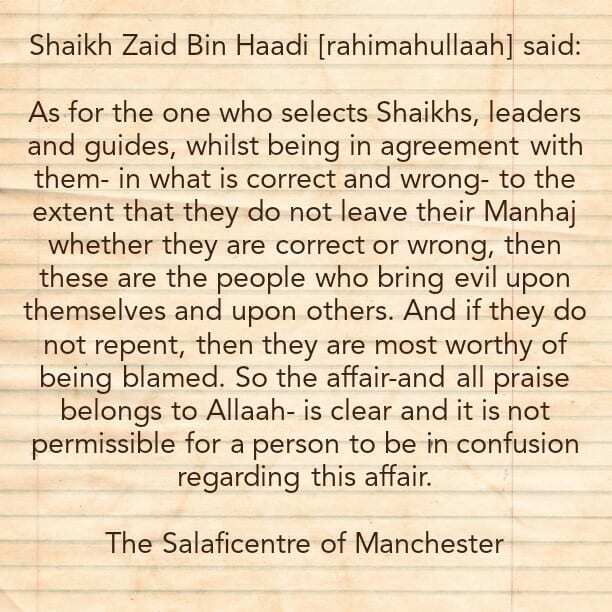 As for the one who selects Shaikhs, leaders and guides, whilst being in agreement with them- in what is correct and wrong- to the extent that they do not leave their Manhaj whether they are correct or wrong, then these are the people who bring evil upon themselves and upon others. And if they do not repent, then they are most worthy of being blamed. So the affair-and all praise belongs to Allaah- is clear and it is not permissible for a person to be in confusion regarding this affair. Therefore, we are with those who follow the straight path-we follow a singular path which Allaah [The Mighty and Majestic] has commanded us to follow and which the messenger called us to. And those you follow the wrong path or are mistaken in many of their affairs, or in some of their affairs, we leave him [i.e. we leave his mistakes or abandon him when he deserves to be boycotted]. None is followed in everything except the Messenger of Allaah [sallal-laahu-alayhi-wasallam]. As for the people, then indeed they can be correct or mistaken. 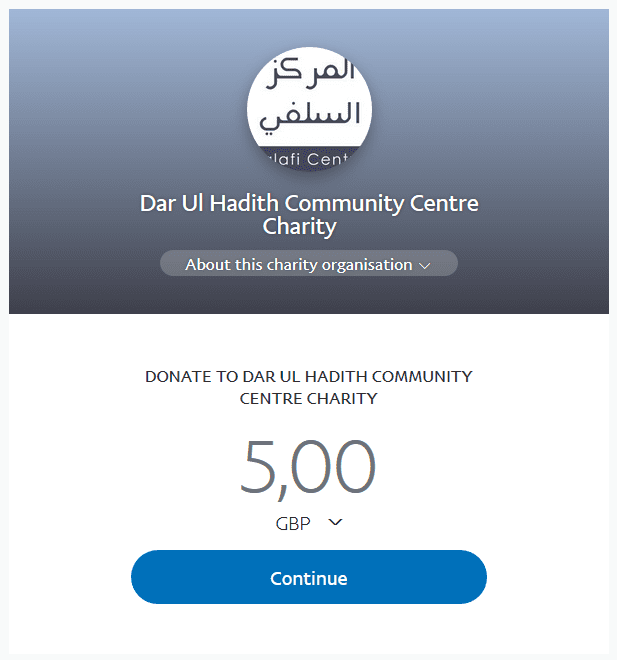 Indeed, we do not follow them and we do not follow their footsteps solely because they are Shaikhs, Callers to Islaam, leaders or guides; rather you should be with the people of the Salafi Manhaj-those who follow the correct manhaj and correct understanding.